This is our reference NY-17260. 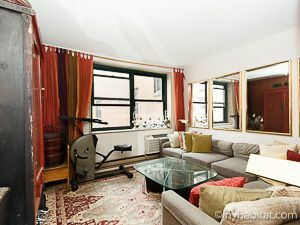 Next to the Hudson River, in bohemian West Village, you will find a fully furnished four bedroom apartment share. 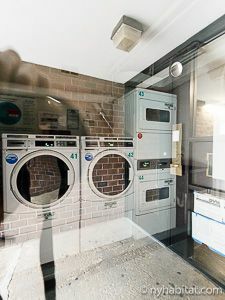 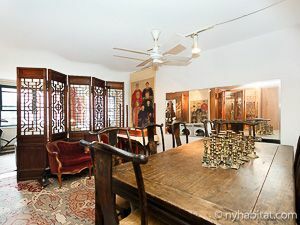 It is located on the top floor of a 4-story walk up, low-rise, building from 1973 protected by a security system. 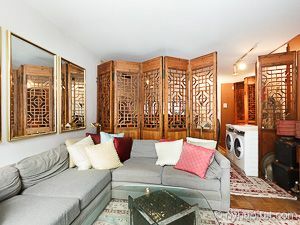 This four bedroom apartment is an apartment share. 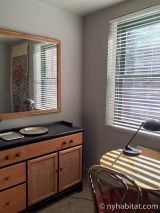 You will be renting one bedroom and sharing the common areas. 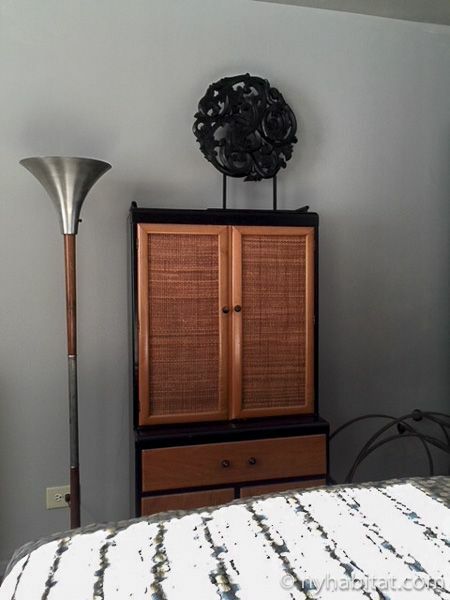 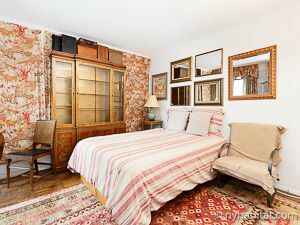 This antique and cozy duplex apartment is fully furnished. 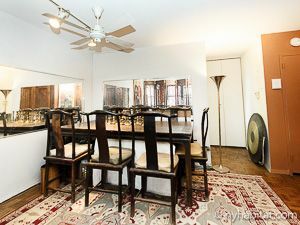 Upon entering the apartment, you will arrive to the living room where you will find a dining table. 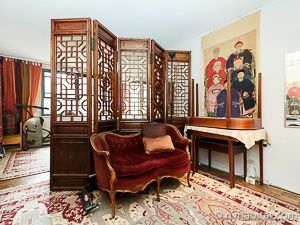 The room is divided with an oriental screen, behind which you will find a sofa. 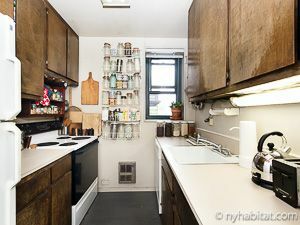 You will find the fully furnished kitchen with dark wood cabinets. 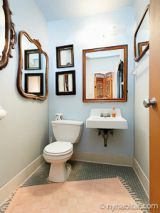 There is one bathroom with a toilet and a sink. 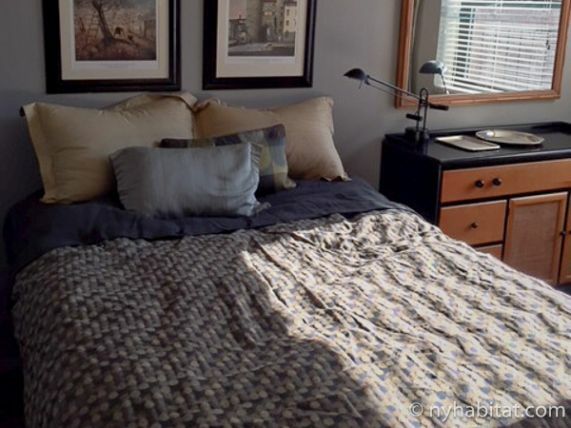 On the upper level, you will find the bedroom you will be renting. 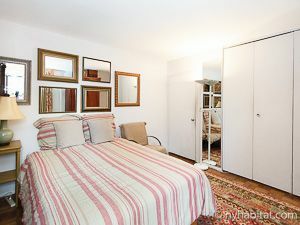 It is equipped with a double sized bed, a closet and wardrobes for maximum storage space. 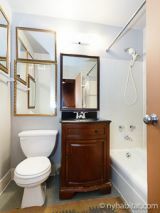 The bathroom has a bathtub, a sink and a toilet.